Obviously, fire ants constitute a dangerous, troublesome infestation. Ignoring them will allow the colony to grow larger and stronger, so you’re dealing with an even bigger problem. That means not having to worry that you’re not getting full coverage at any point in the season. 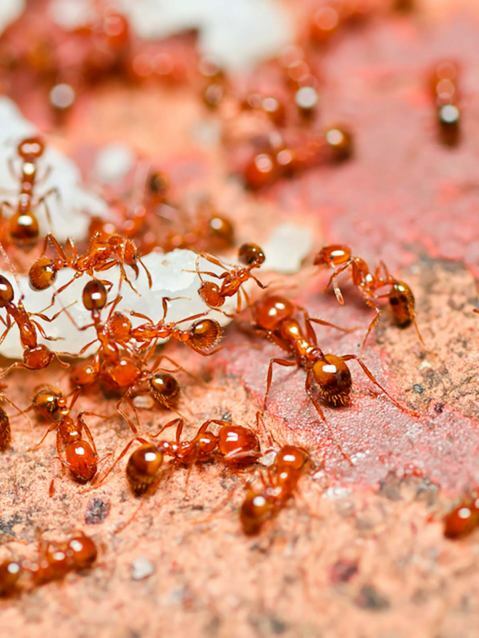 We will professionally assess your fire ant infestation, coming up with a solution that will keep the pests under control. With this application, you will also be able to enjoy the benefits of a flower bed with this treatment! Contact us today for an assessment of your situation. The name sounds fearsome, and in many ways these insects are troublesome. The good news is you don’t have to suffer in silence, because Gro Lawn can help with any fire ant infestation. 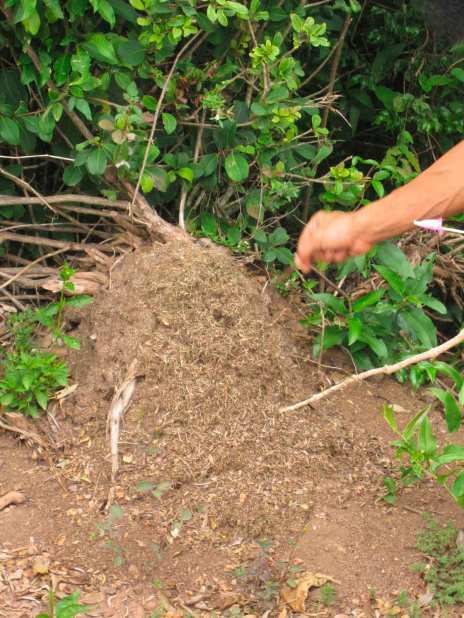 You might be wondering how fire ants ended up on your property. Sometimes they infest nursery plants or commercial sod, and nobody notices the problem until it’s too late. From there, they spread out over an extensive area. Colonies of fire ants can be quite large. They may contain between 100,000 and 500,000 individuals. Because of their size, the colonies can often spread out over much of a neighborhood, instead of being contained in one or two yards. Those sheer numbers make fire ants difficult to fight. You’ll mostly find fire ants established where there’s plenty of sunshine and warmth. They love to establish colonies in dry fields. Deep shade and moisture are usually not attractive to these pests. This omnivorous, adaptable diet allows fire ants to thrive pretty much anywhere. Sometimes, fire ant mounts are hidden inside rotting logs or by tree stumps. You should exercise caution when looking for them, because the ants will be especially aggressive if you disturb the mounds, or even the area around them. When provoked, fire ants will attack. Like other ants, they use their numbers as an advantage. The individual ants use their mandibles to grip the victim, then use a stinger to inject venom. Many people describe the stings as feeling like their skin is burning, or cause a sensation of intense itching. This can be extremely painful, but for some people the sting of fire ants might prove fatal. If anyone experiences sweating, nausea, or excessive itching, seek immediate medical care. Because it contains alkaloid venom, fire ant stings can cause considerable irritation. You’ll notice red bumps forming on your skin, along with white pustules. In some cases, these stings will leave scar tissue on your skin.